Done right, selling a business is hard work and follows a proven process, capitalizing on well-chosen resources, tools, skills, creativity and wisdom. 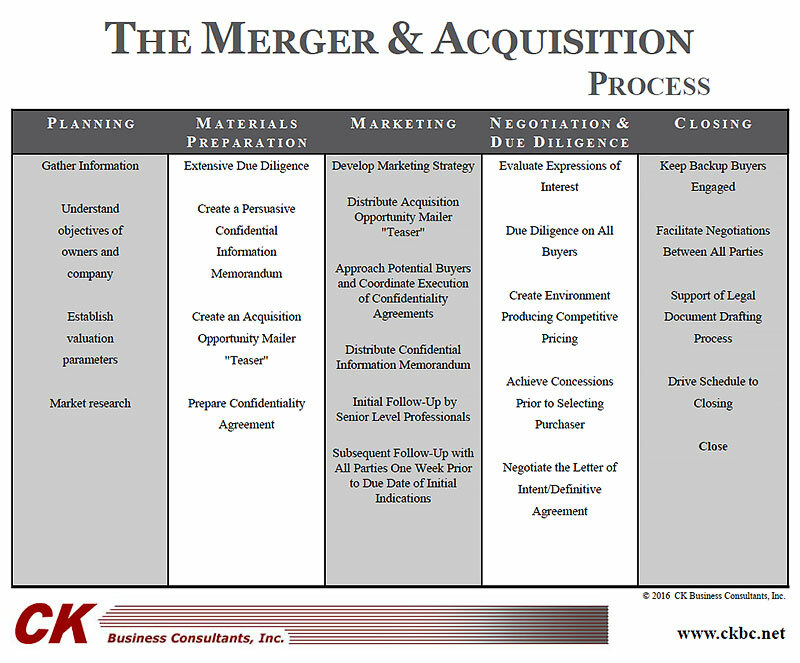 We create success for you, using our proven M&A process to deliver top value under the best circumstances. We always respect your need to stay focused on your business while we work on your sale. Our service maximizes your value, protects your confidentiality and controls distractions in your business. Every step has many opportunities to add value or sacrifice price points. We plan, prepare and guide you from start to finish. We anticipate the opportunities and risks, helping you see “around the corners and over the hills” to ensure your best deal. Contact CK Business Consultants, Inc. to learn how to attain top value from the sale of your business, confidentially! Confidential • Capable • Committed – Consider It Sold! Thanks for following up so well at your end. I felt very comfortable dealing with you and listening to your presentation, obviously, because of your fine reputation in the industry ... Your program walked us through every possible detail involved in the propane industry.